iPad 2 initial setup tips. Third generation iPod USB cable. If you already have an existing iPad or iPhone, update all the applications, then sync these apps with iTunes before you first sync your iPad 2 with iTunes. This saves time and bandwidth because it eliminates the app update that would have been required for your new iPad, and provides the added benefit of all your devices having consistent application behaviours. I find the included USB cable hard to grab because of the curved outer edge on the iPad 2 and short connector. I also feel as if I am going to snap off the metal portion whilst removing or inserting into the iPad. 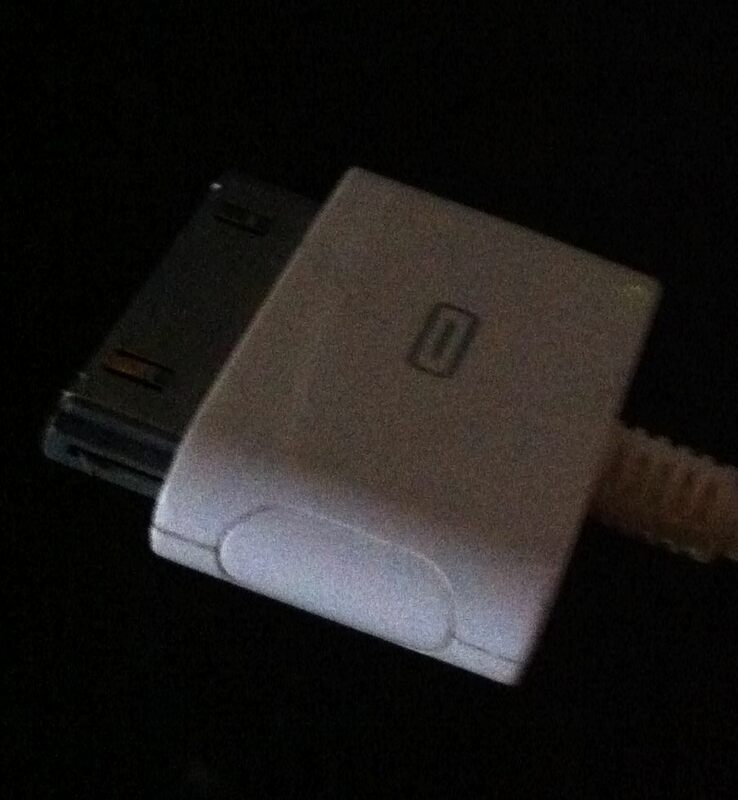 I dug up an “old school” third generation iPod USB cable (pictured above), and find it much easier to use. Please remember to squeeze the side buttons before removing from your iPad. If you setup a profile for the iPad 2 in iTunes from scratch, be prepared to redo your icon groups, icon locations and wallpapers. Have all needed usernames and passwords within arms reach, because you will need them to configure email, social networking, or for any application that utilises login credentials. « State of the Nook Developer Program: #DIV/0!